Hand-Tied / Machine Weft Hair Extensions. What is the difference between the two? First the price, hand weft hair extensions come with a higher price tag than machine weft extensions and are generally a better grade of human hair. The other significant difference is the weft. Hand weft extensions are made by hand and are stitched together by hand using a sturdy piece of weaving thread. They are long lasting with appropriate care and maintenance. They are lot less visible and flatter to install giving you a more seamless install and blend, the weft can not be cut under no circumstances however with precision your stylist will be able to manipulate the wefts to fit the tracks. Hand weft hair will not shed because the track are left intact and uncut. 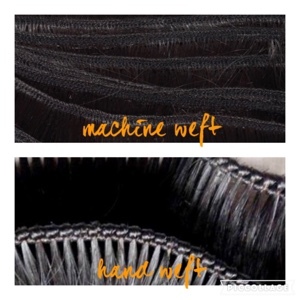 Machine weft hair is the most common method, cheapest and quickest method of bundling hair together, The weft is considerably thicker than hand weft extensions and as such can be cut throughout installation to fit the tracks to ensure the install is natural. Its easier to install primarily because the level of care when installing is a lot more relaxed than when installing hand weft hair. There might be some shedding, however if the quality and the grade of extensions are high this will be minimal. 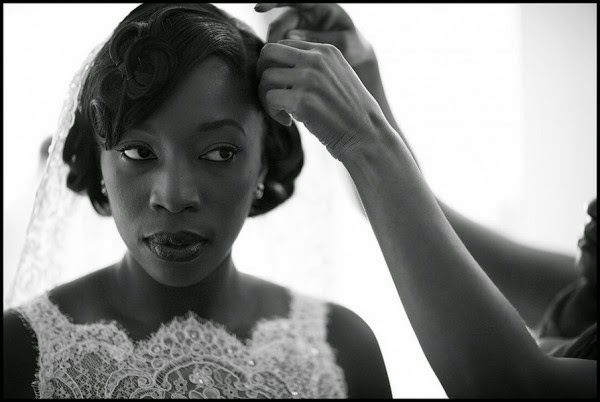 The choice is yours to make as to which weft to go for, what will work for your hair and if your stylist is able to work with it.